Gov. Bruce Rauner speaks to a crowd after he was elected governor in 2014. He delivered his annual budget address Wednesday, calling for progress on the stalemate that has lasted for eight months. Gov. Bruce Rauner delivered his annual budget address Wednesday afternoon, giving an ultimatum to state Democrats: implement reforms to save costs outside the budget, or give the governor the authority to cut spending himself. Illinois’ budget stalemate is on its eighth month. Rauner’s second budget address was meant to talk about the upcoming budget negotiations in spring 2016, but his first budget remains unpassed. Following pleas from earlier speeches such as the State of the State address, Rauner called for bipartisan cooperation to end the stalemate. Although the governor said he will do whatever he can to negotiate and pass a budget, Rauner said he won’t pass a budget the state can’t afford. Rauner said the $36 billion budget Democrats passed was “$4 billion out-of-balance,” and he was not willing to raise taxes to make up the difference. However, Rauner offered an alternative: If state Democrats compromised on Rauner’s cost-cutting initiatives outside the budget, such as changes to unionization and labor laws in the state, then he would work with the proposed budget at its current cost. “I’m insisting that we attack the root causes of our dismal economic performance,” he said. Rep. Robyn Gabel (D-Evanston) shared the governor’s concerns and said the assembly and governor need to engage in further negotiations. She and 29 other state representatives sent a letter to Rauner, asking him to meet with the state Appropriations Committee to develop a budget. The letter highlighted criminal justice and unemployment insurance reform bills passed through compromise. “We should do the same with the budget — find common ground and move forward,” they wrote in the letter, asking the governor to look at past successes. The lack of a budget has led to an increase in state debt, and the representatives wrote in the letter that the stalemate has been “devastating” to the functions of social services and state universities. However, the local government distributive fund, which is the primary funding source for cities, has not yet been impacted by the stalemate. 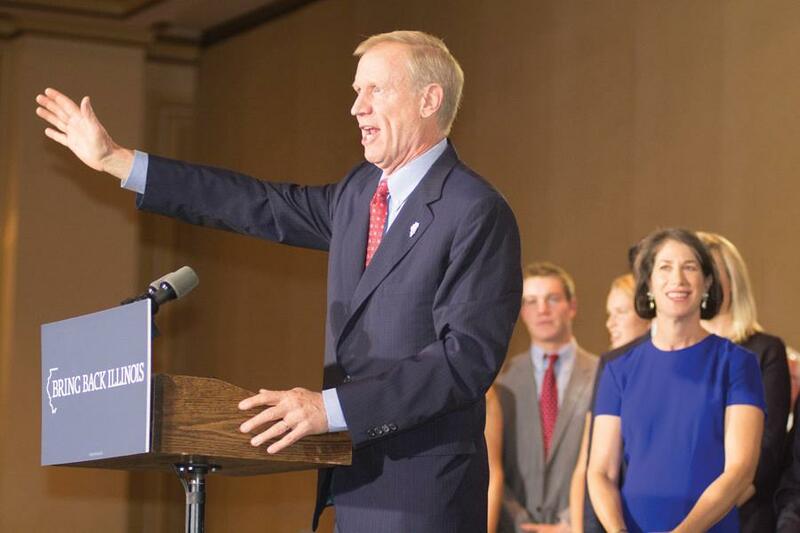 Rauner did not address the local government distributive fund in his speech, but Evanston city manager Wally Bobkiewicz said that does not mean the funds will remain untouched. Bobkiewicz said for the time being, Evanston’s budget is squared away, but he added that much about funding and grants remains unclear without a state budget. However, the city is getting used to functioning in the framework of a budget limbo, he said. Though the budget remains in a stalemate, Rauner stressed places of compromise, such as separating funding for early childhood education and general state aid from the budget to ensure financial support for those programs.